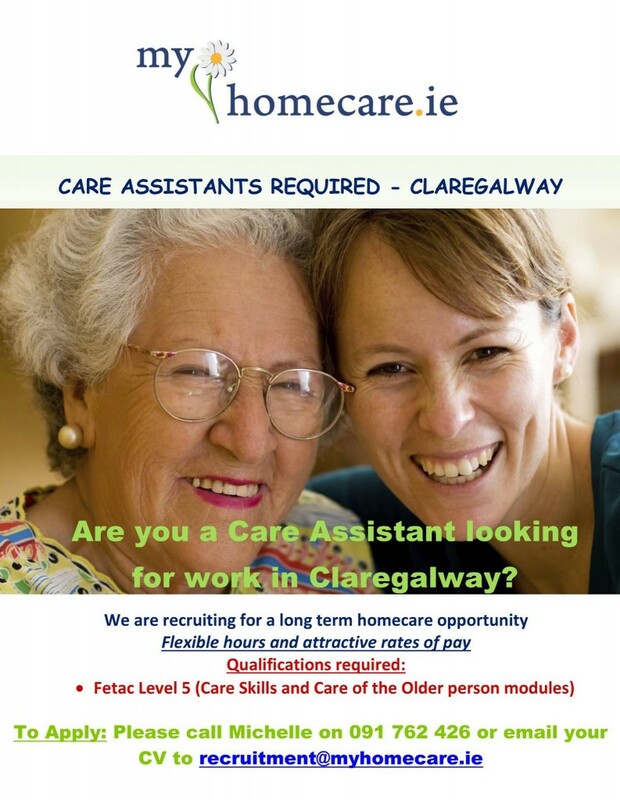 Care Assistants required in Claregalway. To apply please call Michelle on 091 762 426 or email your CV to recruitment@myhomecare.ie. Monday Morning from 10.30–11.30am—all levels welcome. 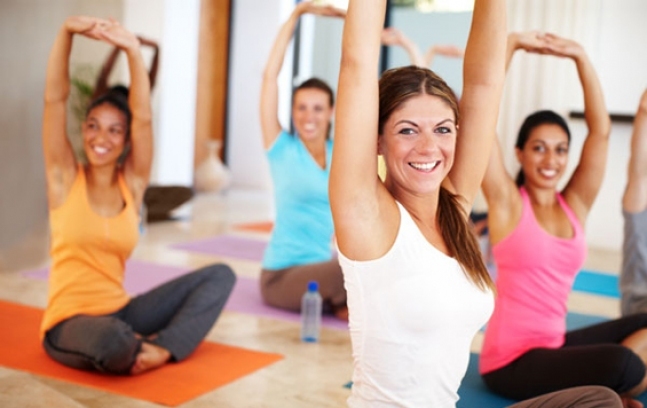 Wednesday Evening from 7.30–8.30pm—beginners gentle stretch. Phone Claregalway Yoga on 087 1938495. 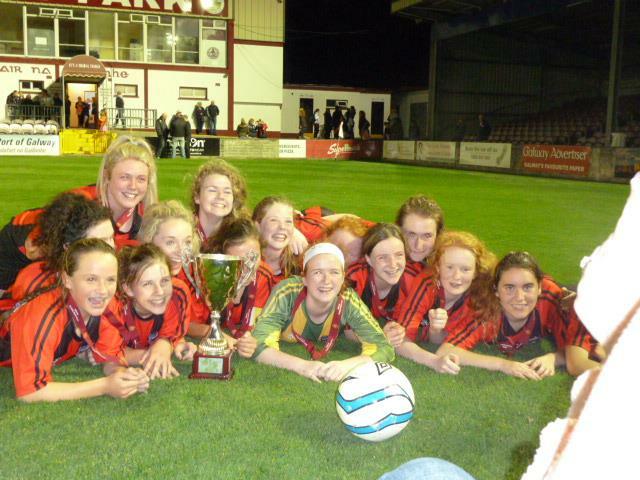 Cregmore Claregalway FC U16 girls soccer have returned to training every Thursday evening in Lisheenkyle Allweather after having a very successful first season. We are also entering the Galway U18 league for the first time which begins after Christmas and are looking for new players to join U16/18. 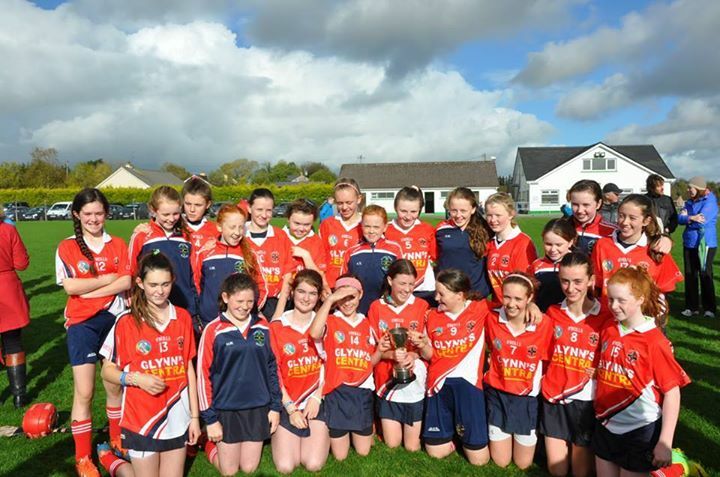 Any players interested, please come along on Thursday evening or contact coaches Noel 087 299 3562 or Gerry 087 206 3311. 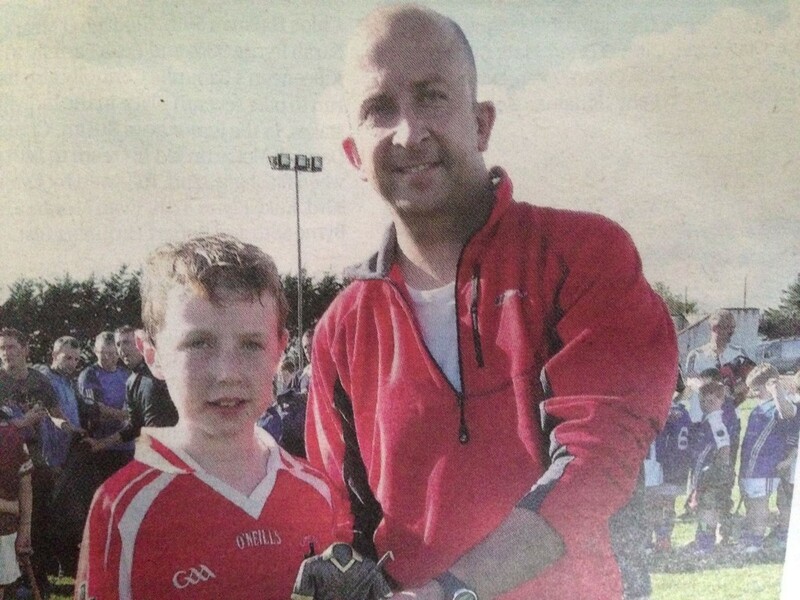 Pictured is Rian Concannon being presented with his award of Carnmore Hurling Club Hurler of the Year from team manager Kevin Moran. Have to say the staff in Raftery’s Centra Claregalway are second to none—always there with a smile and interest in their customers—what more could one ask for? 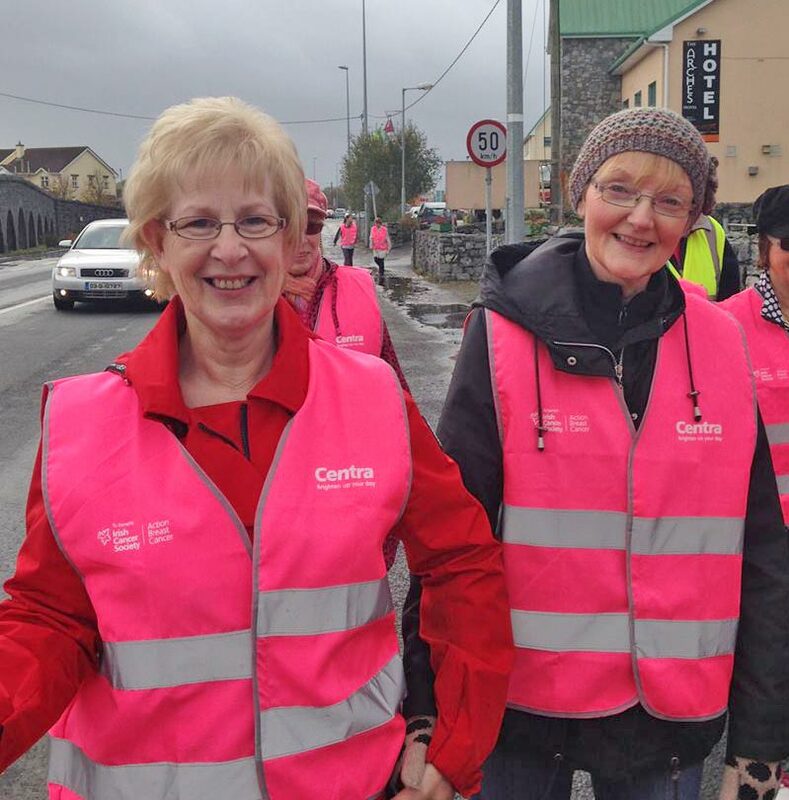 Pictured are Raftery’s Centra staff Anne and Clare participating in Raftery’s Centra walk in aid of Breast Cancer yesterday. 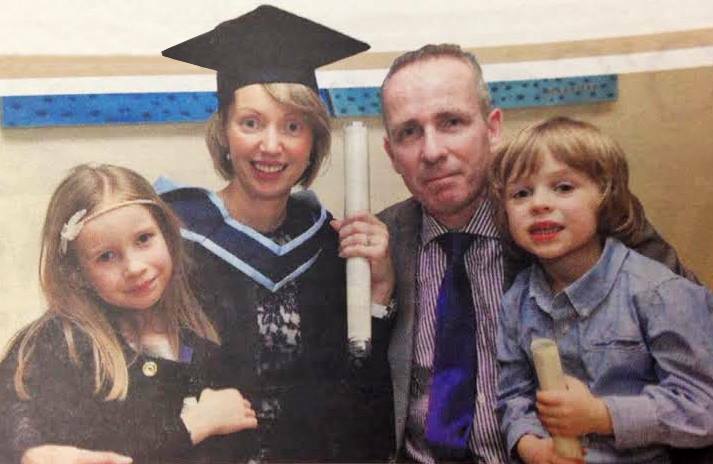 Huge congratulations to local author and regular contributor to Claregalway.info Móna Wise, who was awarded First Class Honours in her MA in Journalism at NUIG earlier today! 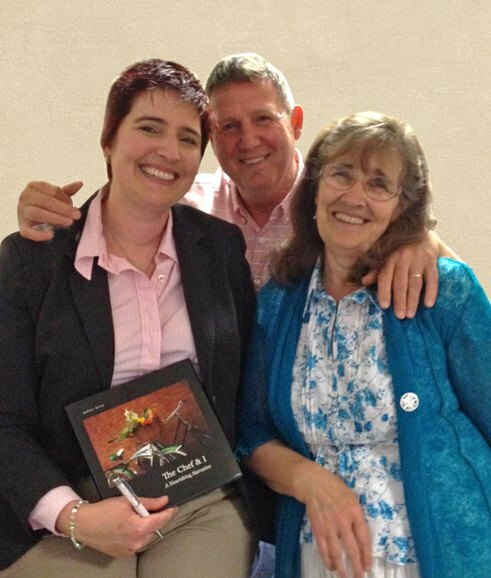 Pictured is Móna with her husband Ron and mother Catherine Dempsey at the launch of Móna’s book The Chef and I.
Congrats to the Carnmore Camogie U13 girls who won the summer league final today. Pictured is Gerry Reilly from Cloon as he guides the plough at the Glenamaddy Ploughing Championships on Sunday 5th of October. Gerry won the horse-drawn All-Ireland last month, as his late father Tom did many times, last in 1993. 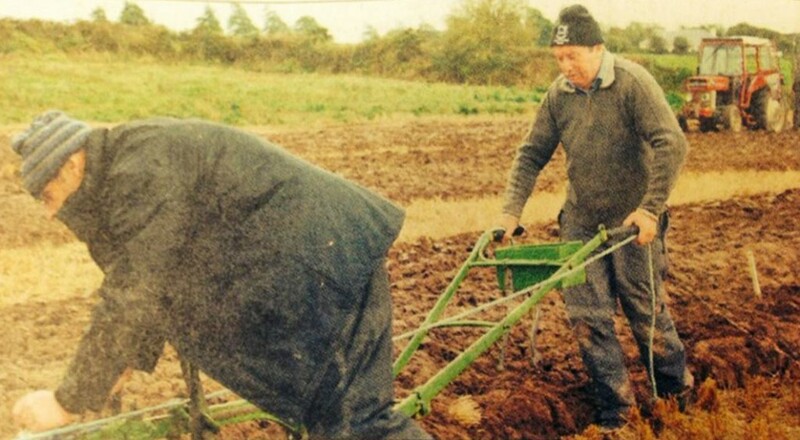 They were the first father and son to both win the horse ploughing All-Ireland. 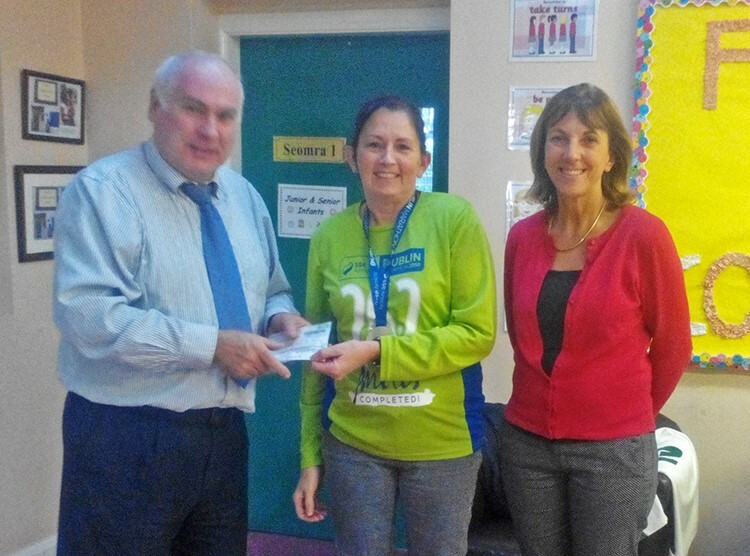 Photo via Tuam Herald.